A round table conference is organized by Gorshenin Institute. 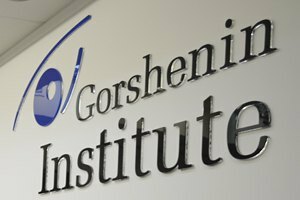 On 24 June (Friday), at 11 am, Gorshenin Institute will host a round table "The referendum on Brexit: preconditions, results and impacts." What were the preconditions of the referendum? The main arguments, stakeholders and main drivers of the UK's exit from the European Union. Who and how persuaded the Brits to support or reject Brexit? The activation of centrifugal forces and trends in the European Union: a natural process or foisted from outside? Is there a future for united Europe? In what format? What do the results of the referendum mean? Political and economic aspects. What is the role of the British referendum in the Russia vs West showdown? How the opposition parties will exploit the results of Brexit in the information and political field? How will the results of the UK referendum impact the pace of Ukraine's European integration? Make sure to indicate Gorshenin Institute in media coverageas the organizer of the discussion.